Caught A Ghost’s debut album was really released two months, but since it wasn’t included in our top album releases list for the month of April we did just last month, I thought I would include it here. They were also featured as an Upcoming Artist here in The Young Folks so you should definitely listen. This album was also released in April 2014 but wasn’t included on the list for the month, so it makes sense to include these two amazing albums at least now and on the tenth spot. 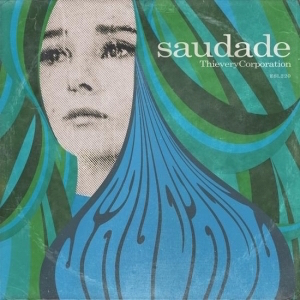 “Saudade” is a rhythmically rich and melancholic album from the always phenomenal and elegant Thievery Corporation. It features tracks in Spanish, Portuguese, French and variety of languages; it’s also very classy and sad. Moving away from few of the band’s previous more extroverted beats, this is an album to enjoy in solitary pondering.